Easter is one of my favorite holidays! To me it is a time for renewal. It is a remembrance of an awakening after death. Of course I am referring to Jesus being risen from the dead. But I am also referring to the beginning of spring. After winter's "death" the renewal of spring comes and with it comes life. I absolutely love springtime. The beautiful flowers, the start of gardening, the sunshine and warmer days. I thought I would share with you just a few pictures of my family's Easter weekend. We had egg hunts, church services, special meals, and even celebrated my father's 80th birthday! 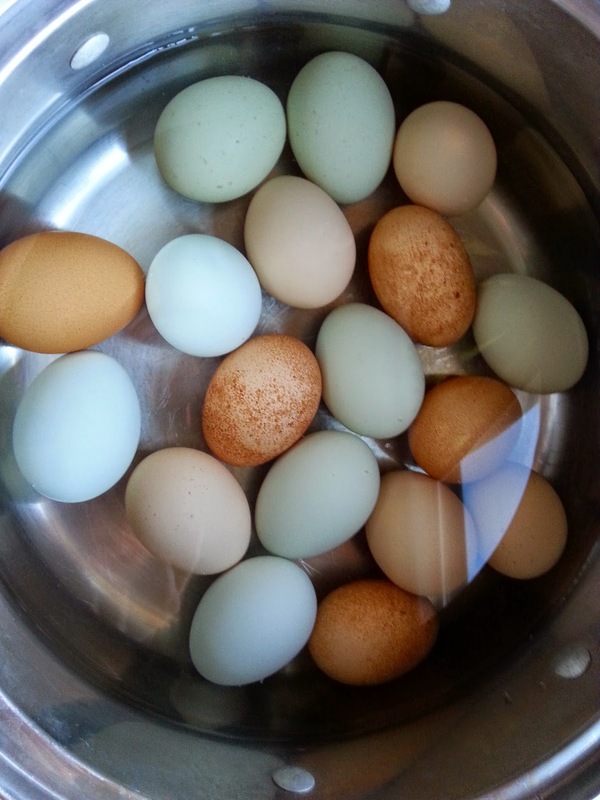 Here are my beautiful eggs from our chickens getting ready to be boiled for deviled eggs. 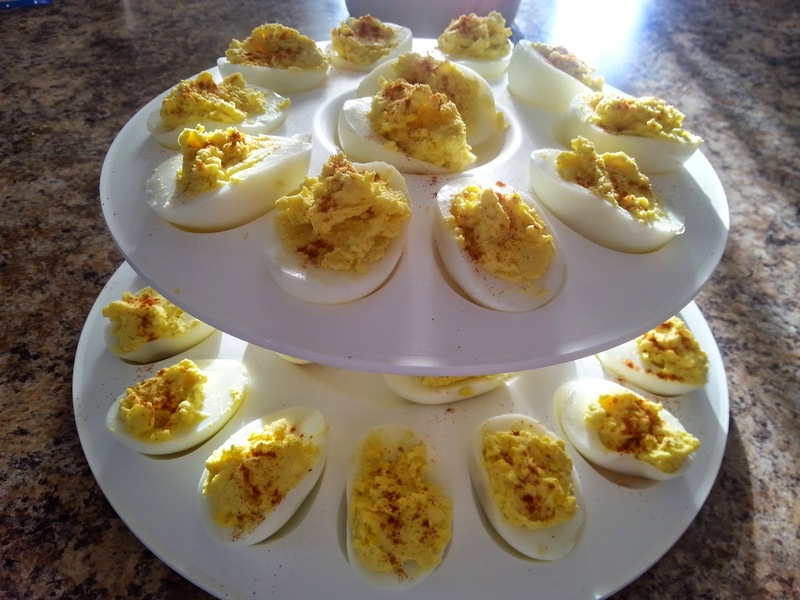 And here are the eggs after they are done. They were gobbled up in no time at our family dinner! So easy to make and so good! 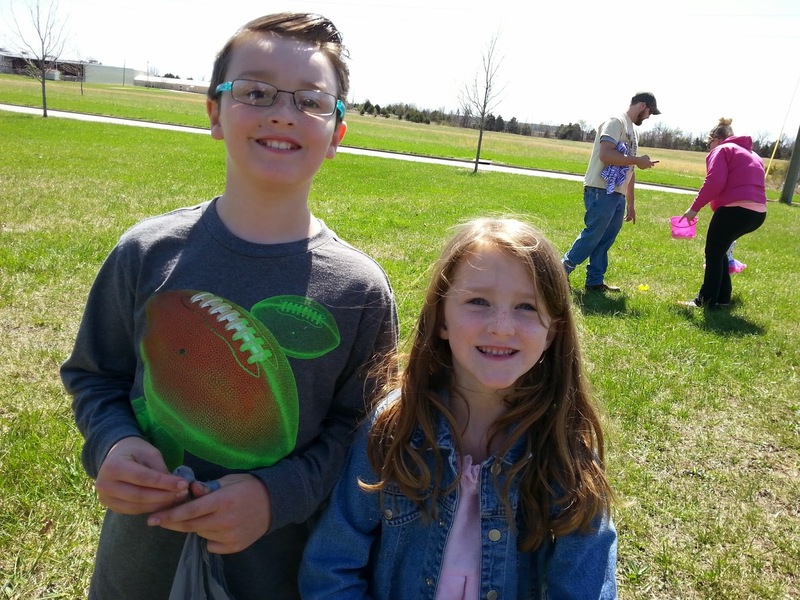 We went to an egg hunt and the kids had a great time. 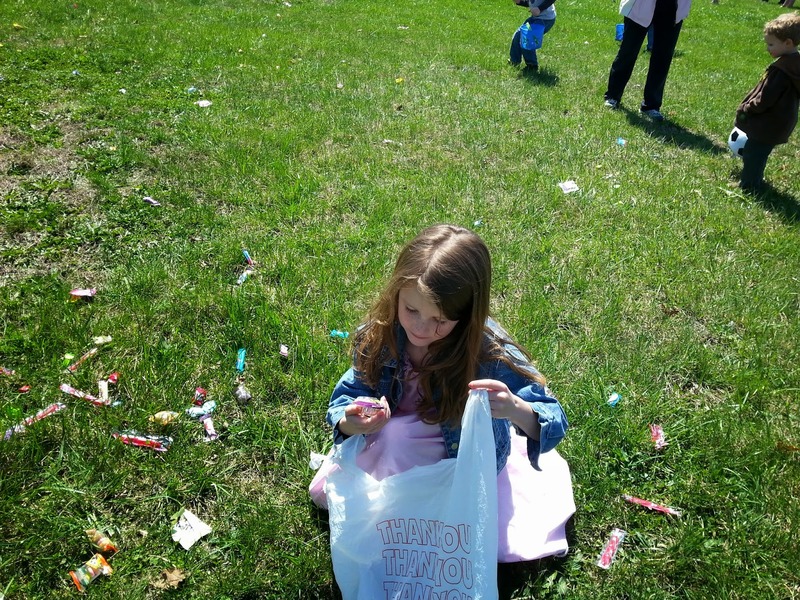 Not only were there eggs that the kids searched for, but also there was candy everywhere! 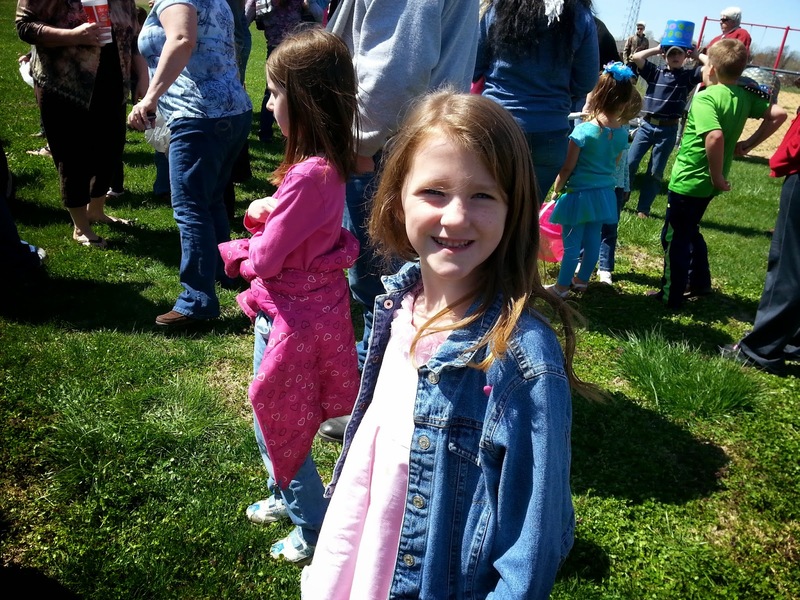 Here is Carly gearing up for the egg hunt. And here she is picking up eggs and candy. 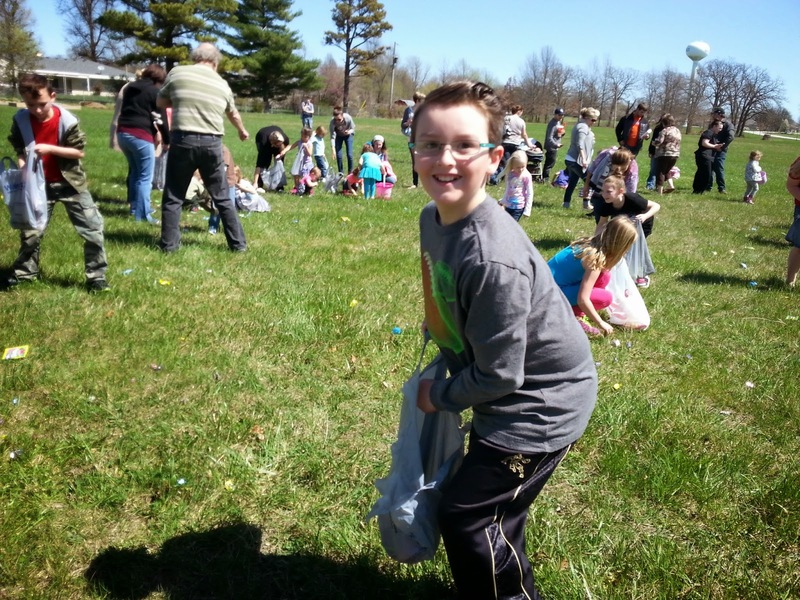 Drew also had a great time at the egg hunt. You have to admit Easter candy is some of the best! So what are some of the things that you did for Easter?